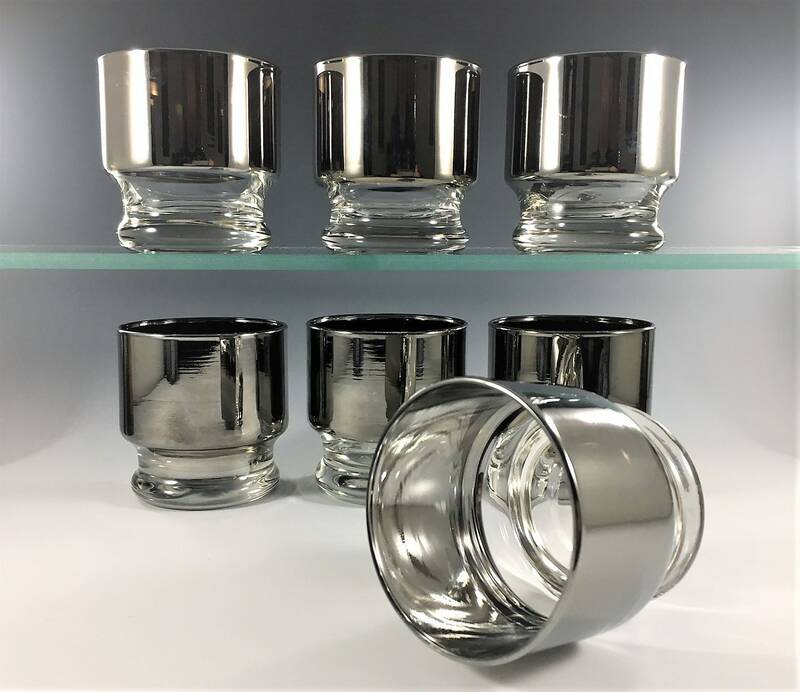 Featured is a stunning set of seven mid century whiskey or rocks glasses. These fine pieces from Queens Lusterware are about 2 7/8 inches tall and 2 3/4 inches in diameter at the rim, and they hold 6 ounces. All seven are in great condition, free from any chips or cracks, and with minimal wear to the mercury coating. All seven glasses for one low price. 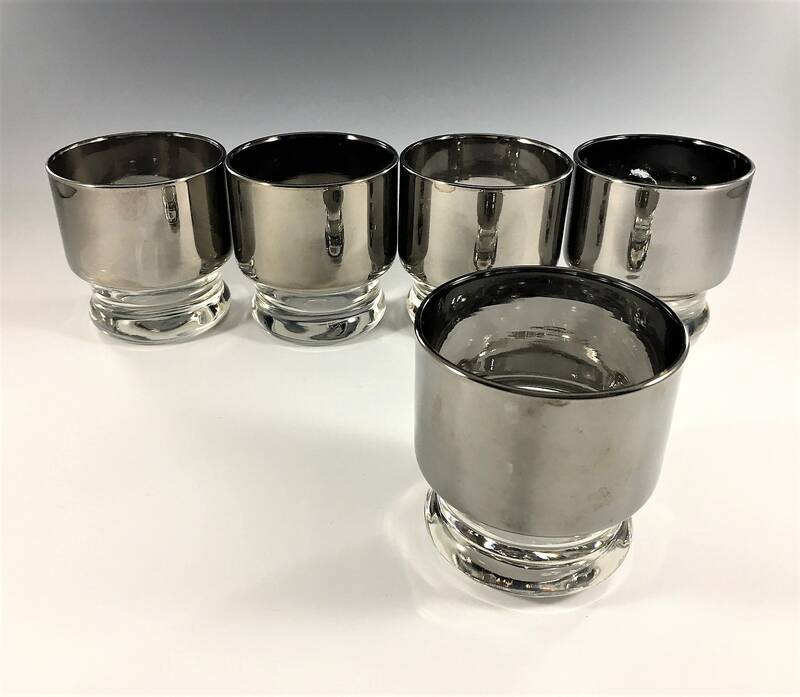 "Queen’s Lusterware is a mid century modern barware essential. Vitreon Queen’s lusterware, ltd. was started by Sidney Sigety. His home and business was based in Brooklyn, NY. Queen’s Lusterware’s heyday was in the mid 50’s and 60’s, the same era as Dorothy Thorpe. 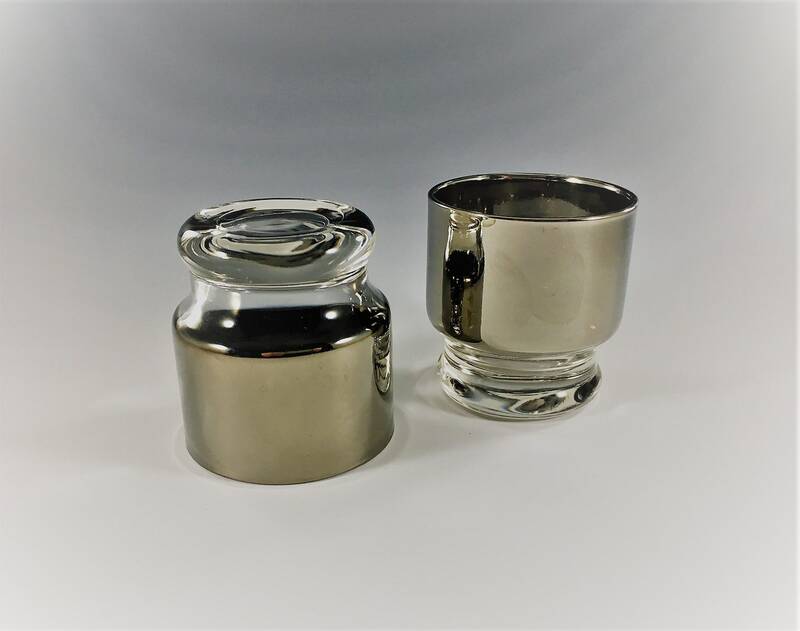 Queen’s Lusterware features the signature ‘silver fade’ or ‘silver ombre’ effect on glassware. 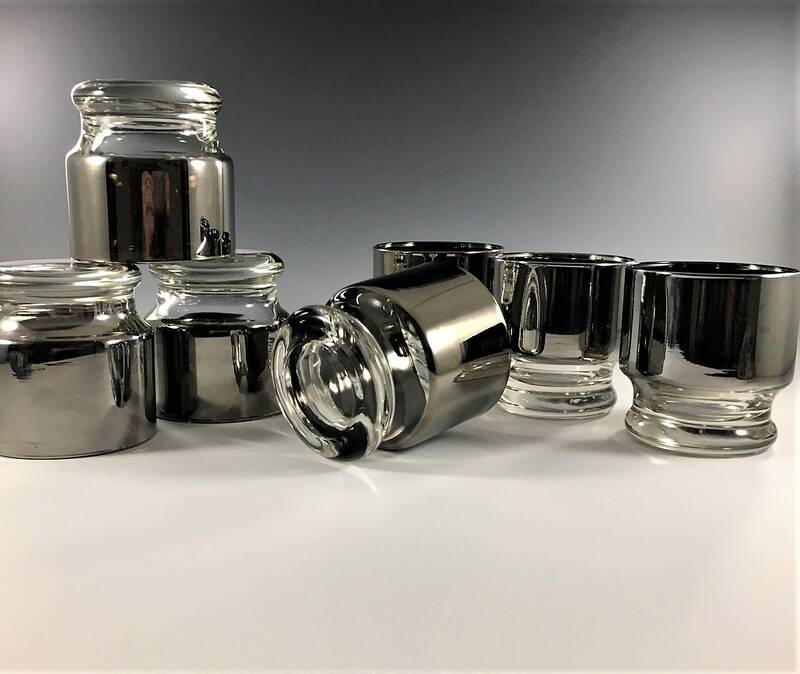 Lusterware or Lustreware (respectively the US and all other English spellings) is a type of pottery, porcelain or glassware with a metallic glaze that gives the effect of iridescence, produced by metallic oxides in an overglaze finish. Silver, gold and copper were commonly used until the 1800’s until a new silver lustre was employed. A new metal called platinum. John Hancock of Hanley invented the application of a platinum technique and put it in practice at Spode’s manufactory about 1800. Very dilute amounts of powdered gold or platinum were dissolved in aqua regia and added to spirits of tar for platinum and a mixture of turpentine, flowers of sulfur and linseed oil for gold."